How are you doing today, the morning seems bright and nice but I am already missing the rains. Hope it rains some more today. Price: SGD 30 (approx. INR1450). Packaging is very classy, I totally adore the golden cap with EL embossing. And the tube is completely leak proof making it ideal for travel. 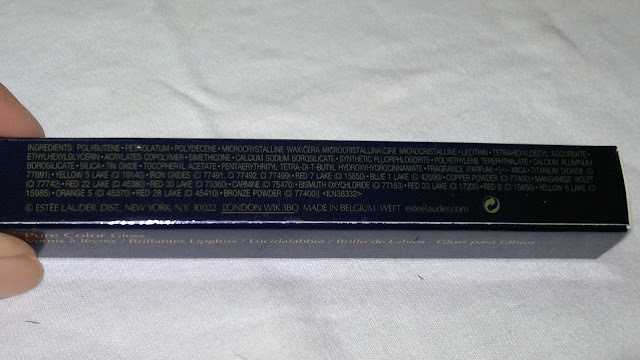 As I have mentioned earlier, this product is my new love, am loving simply everything about it except maybe for the lasting time of this lipgloss on my lips. Firstly, I love the texture of this lipgloss, it's lighter than a lipbalm and and so moiturizing (just like water) that I don't have to use a lipbalm underneath. Sometimes, I feel as though I have applied water on my lips. 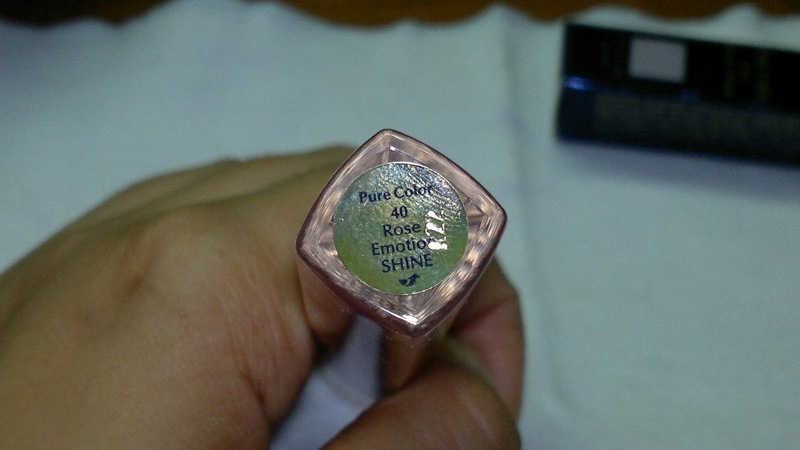 Secondly, I am in love with this color, the perfect peachy shade for me, never knew it would turn out to be so beautiful. Doesn't wash me down, in fact brightens up my face. 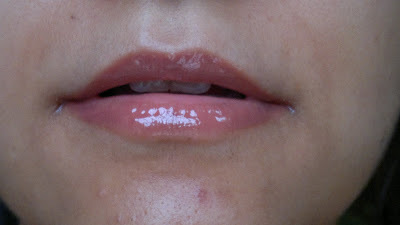 Love the sheen the lipgloss provides to my lips, it beautiful and it was something that I have searching for since eternity. 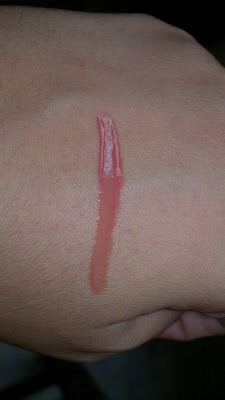 As evident from the pics above, the gloss gives high shine and opaque coverage on my lips. Did I mention that I love the smell of the lipgloss, probably nit, but that's the first thing to notice about them actually. 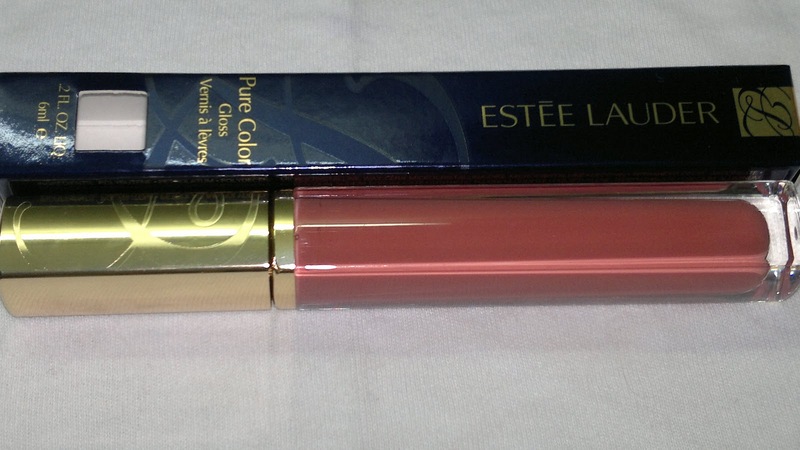 The lipgloss has a lovely fruity fragrance which diminishes with time but not completely. As long as the product is there you can smell the niceness in the air. 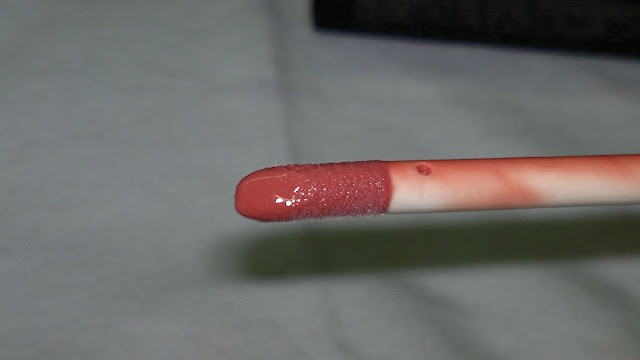 Next lovable thing is that the lipgloss doesn't settle into your fine lines even after an hour and in fact keeps them looking full and healthy as long as it is there on your lips as seen in the lip swatches above. Product rating: A, available at all EL stores worldwide. 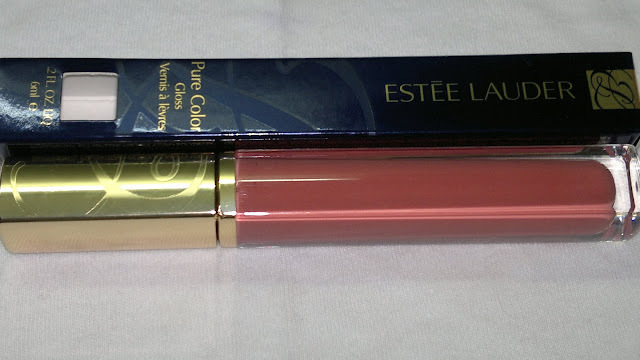 Would highly recommend this to girls looking for luxurious lipglosses, EL makes some fantastic lip products and they are a must try for every makeup fanatic.Personally, I am regretting not picking up more shades but would do that soon enough.